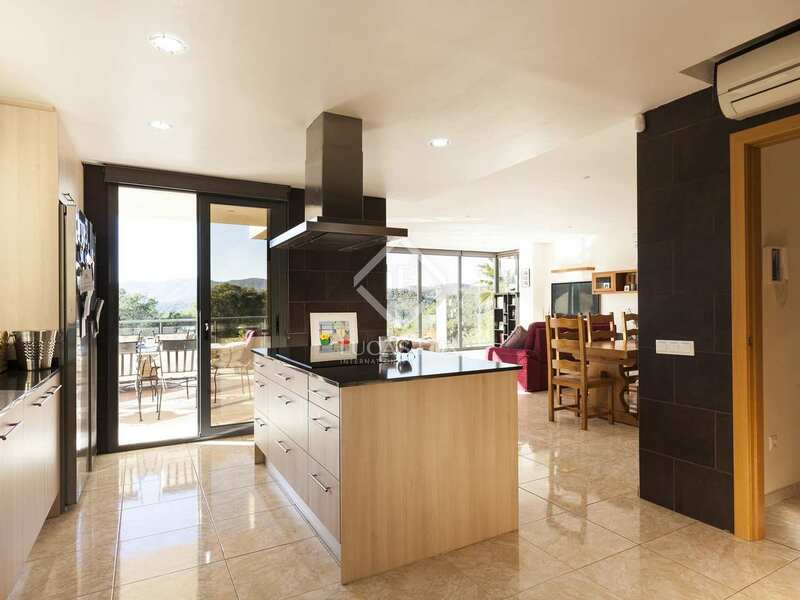 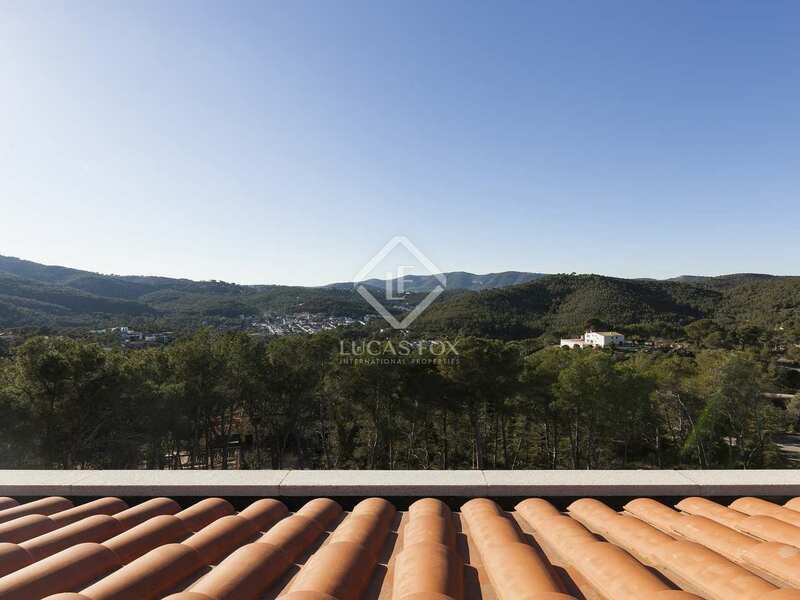 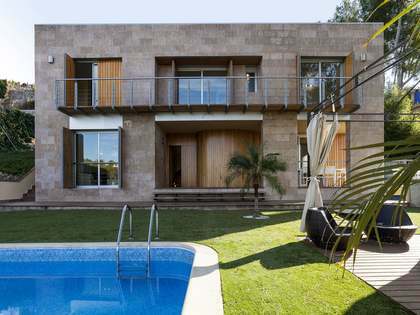 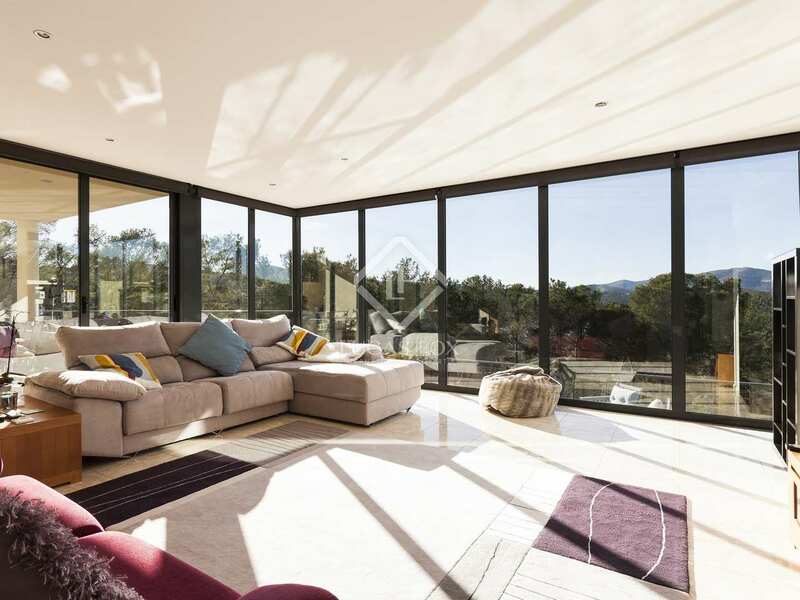 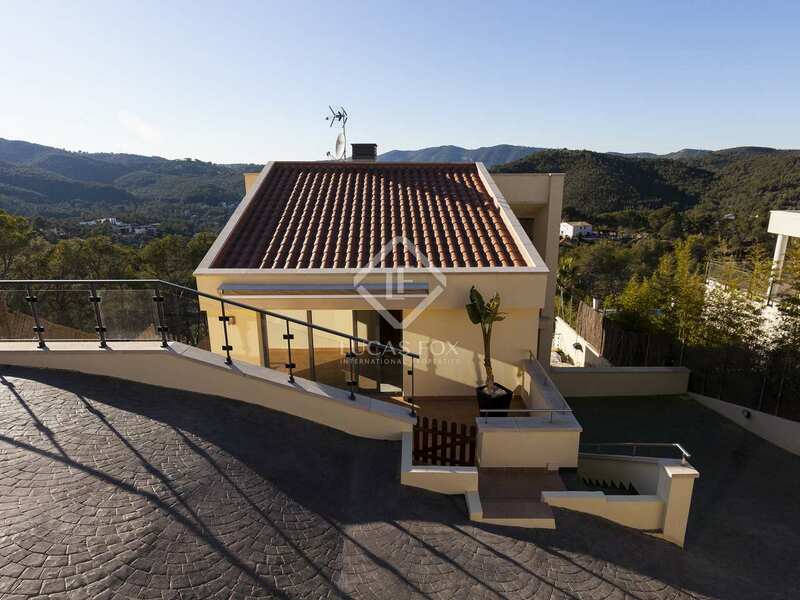 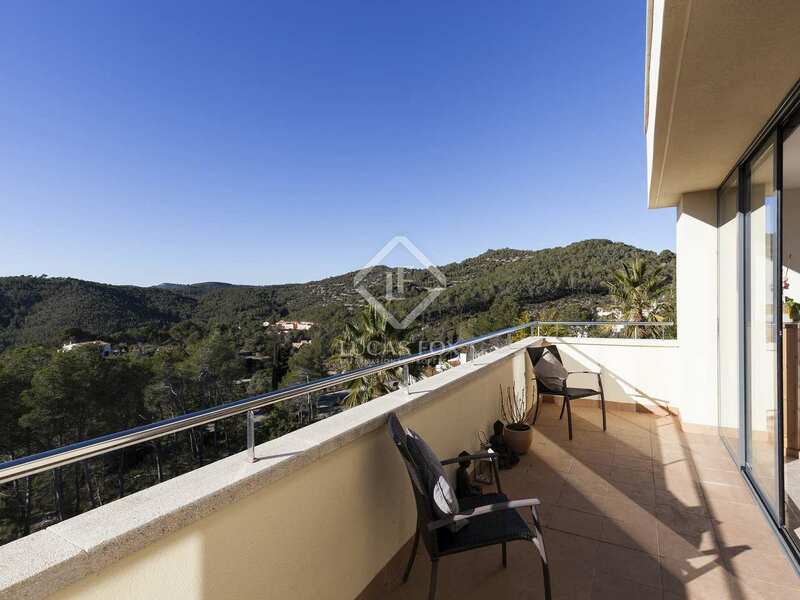 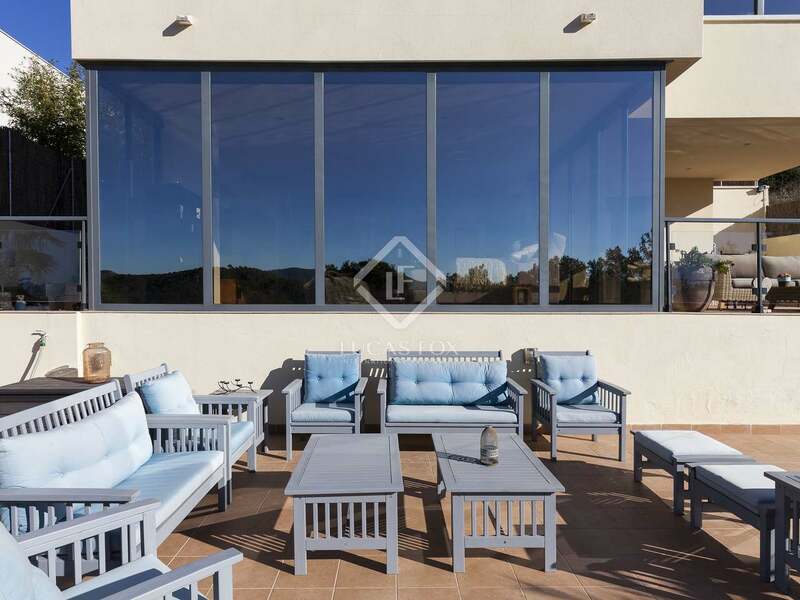 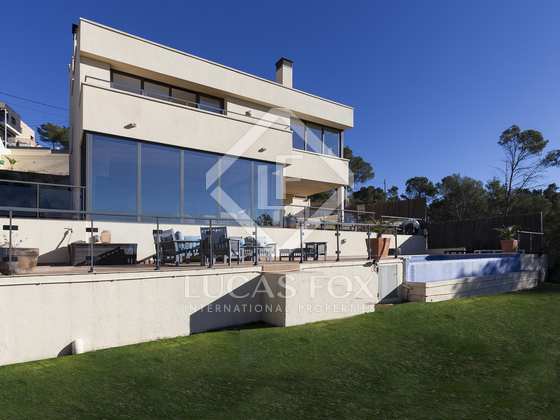 Built in 2013 to a very high standard, this modern detached villa is located in the Mas Mestre residential area in the hills of Olivella, a 10-minute drive away from Sitges. 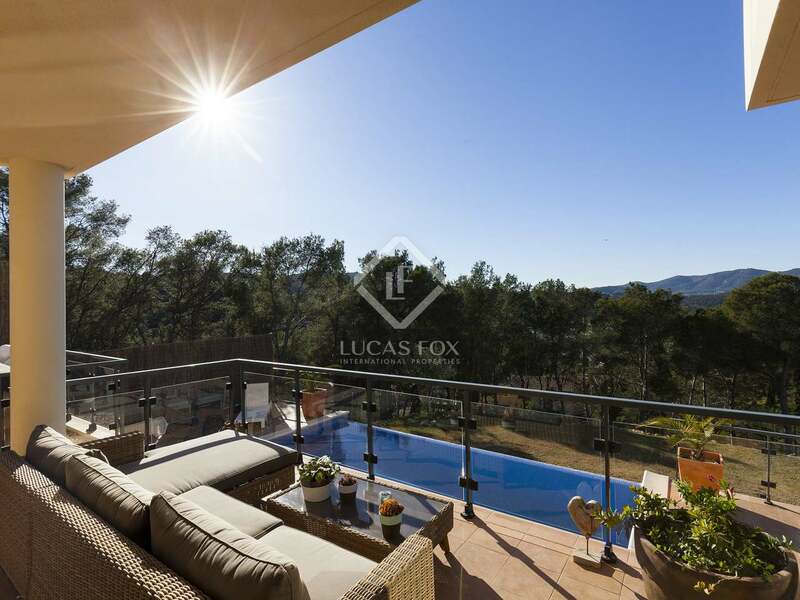 It has large terraces at different levels with a hot tub to enjoy the stunning mountain views, an infinity pool of 6 x 3m and a lawn garden with a sprinkler system on the lower level. 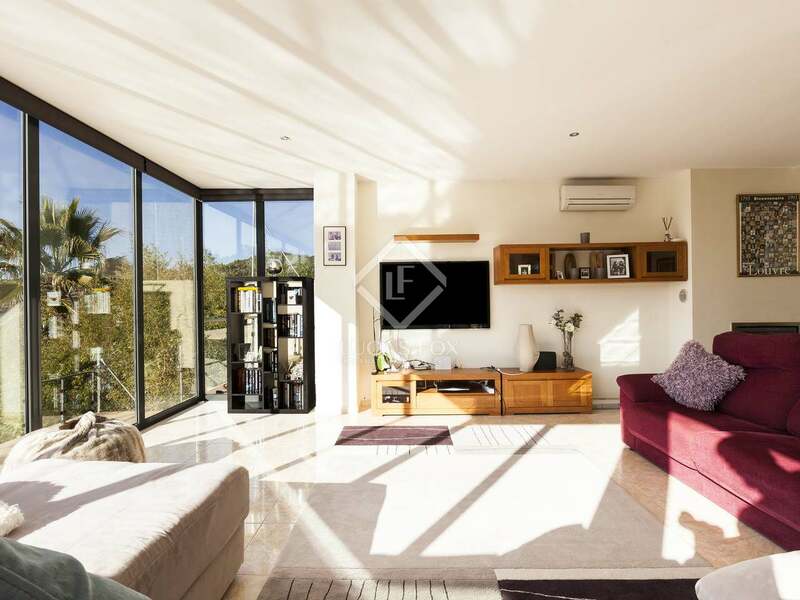 The property would make an excellent permanent family residence, second home or holiday rental investment as this area is in high demand and the house sleeps 11 people. 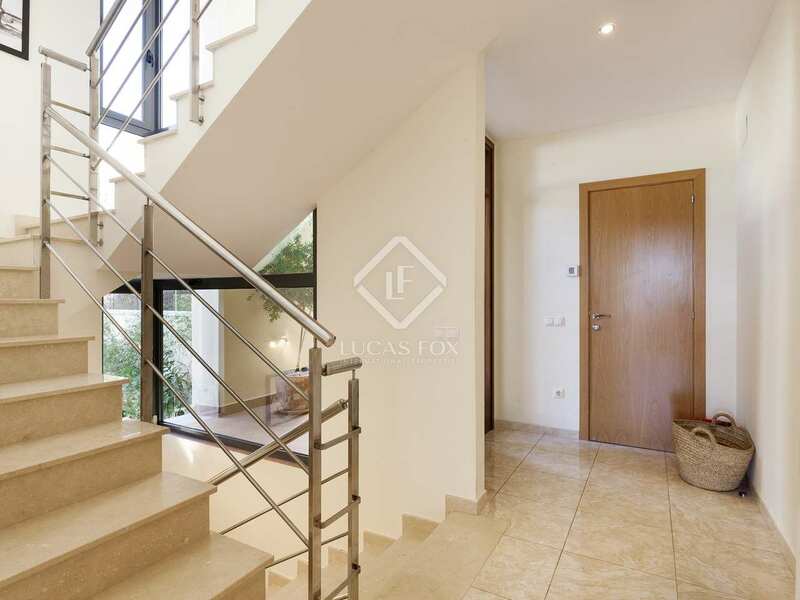 The house has 3 levels and we enter on the middle floor where we also find the 2-car garage. 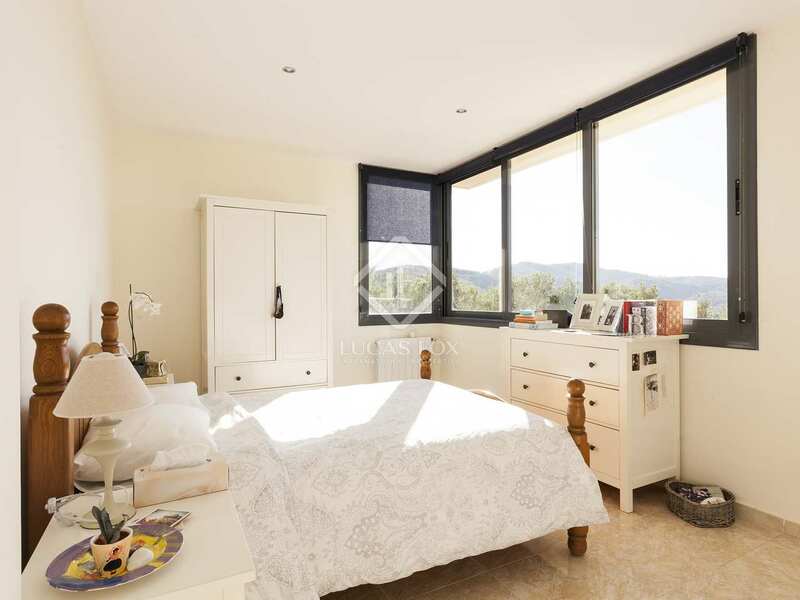 Here a welcoming entrance hall leads to the en-suite master bedroom with its terrace with views and then 2 double bedrooms with a shared bathroom. 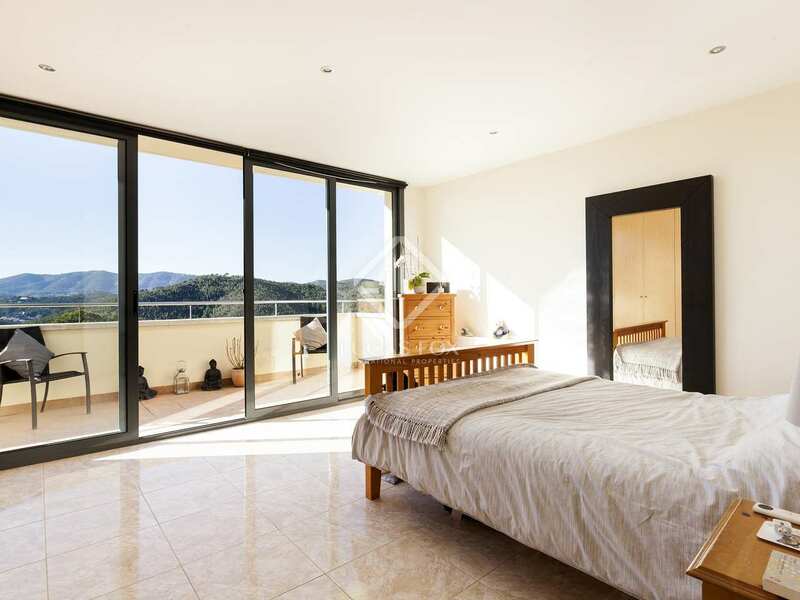 All of these bedrooms have built-in wardrobes. 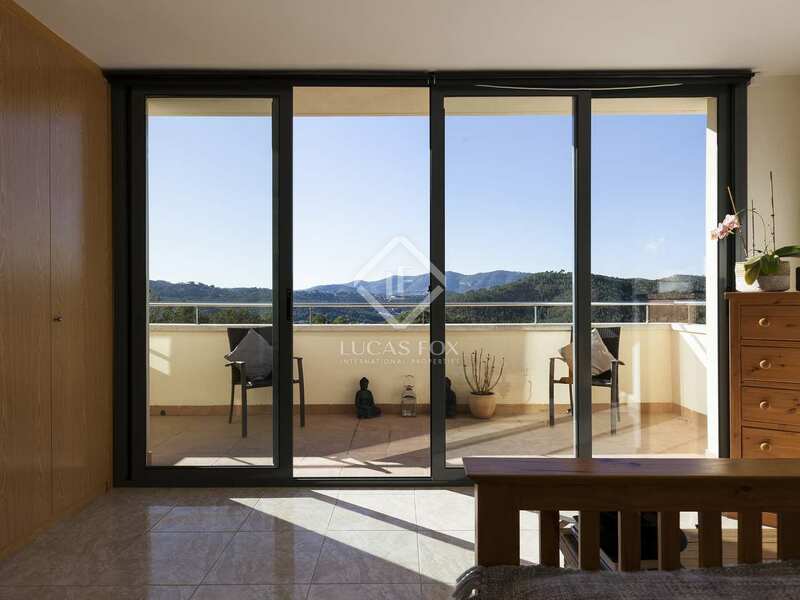 The floor below accommodates the fabulous 50 m² living room – dining room with floor-to-ceiling windows on 2 sides and access to the different terraces. 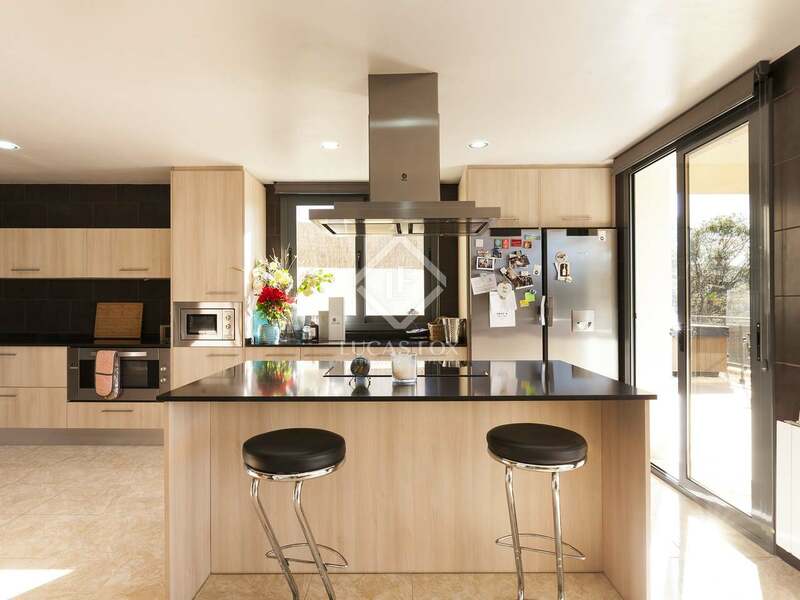 The kitchen is on this level and is semi open to the living room with an island and a separate utility room, storage room, wine cellar and bathroom. 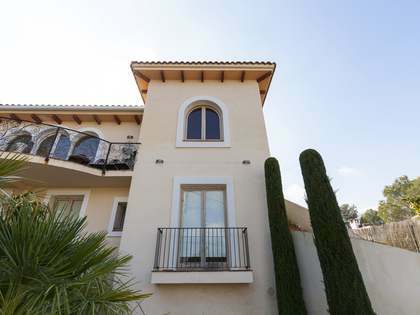 On the top floor we find a separate apartment with its own access, containing a living room with a terrace, a kitchen, bathroom and a bedroom with a terrace. 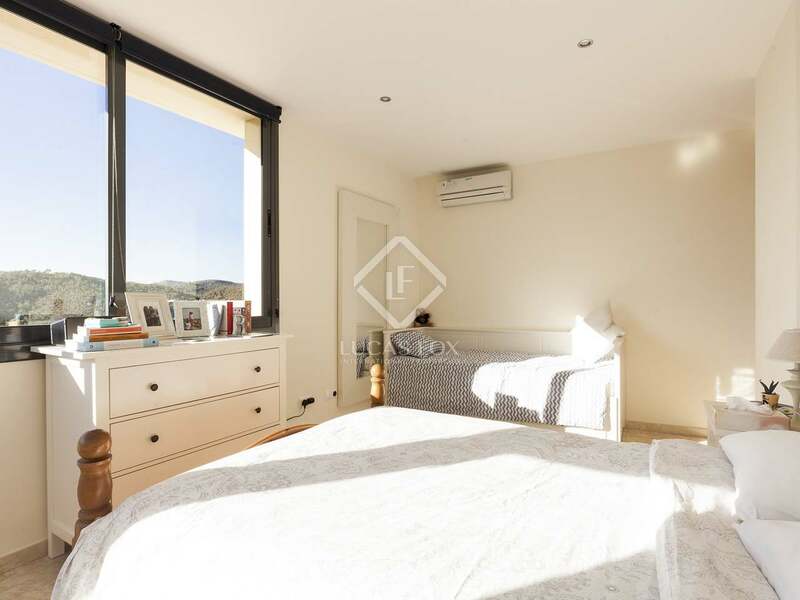 There is another bedroom or office space on this level. 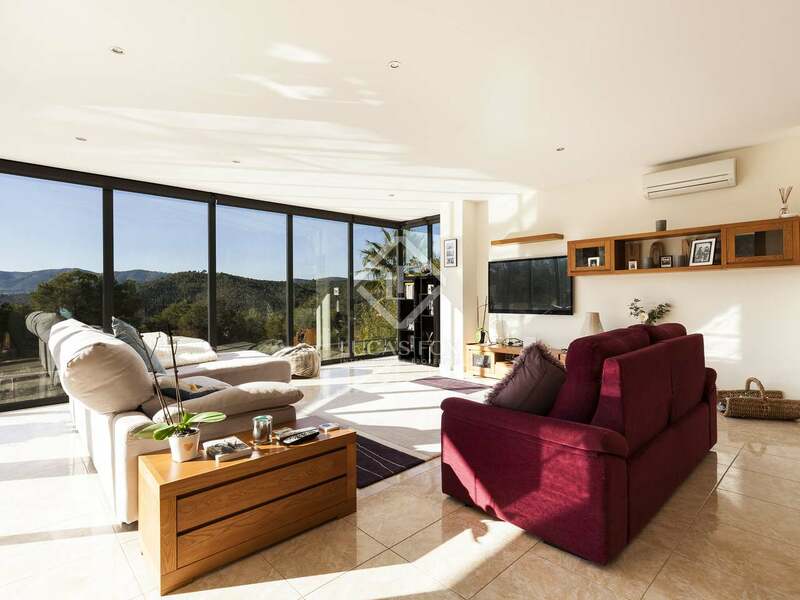 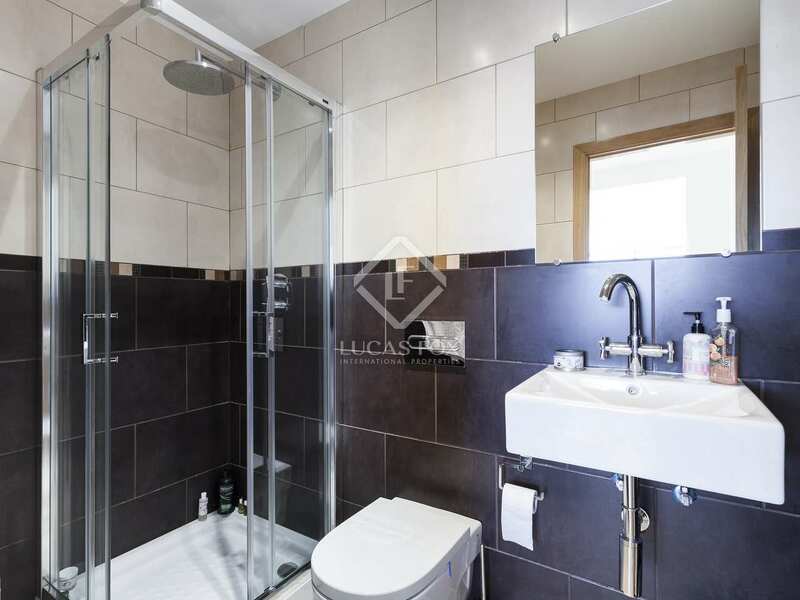 Additional features of this high-end property include the safety deposit box, water softener system and solar panels that supply all of the hot water. 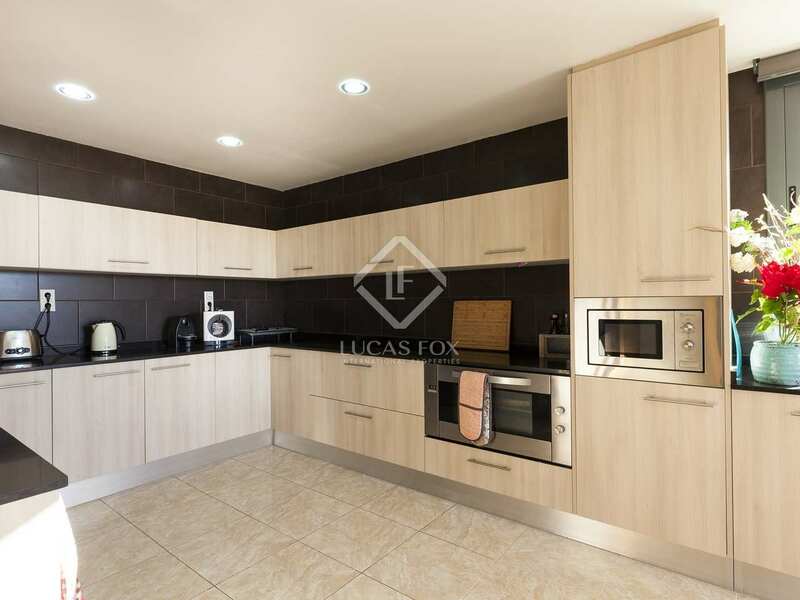 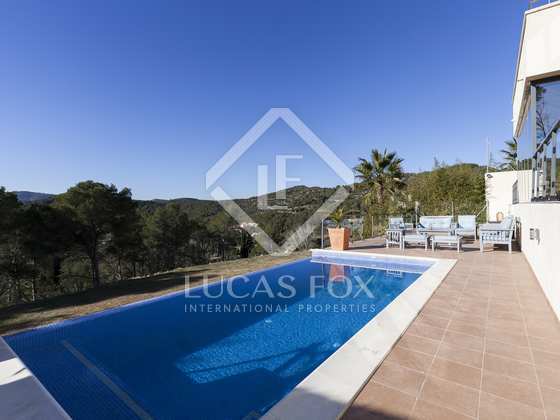 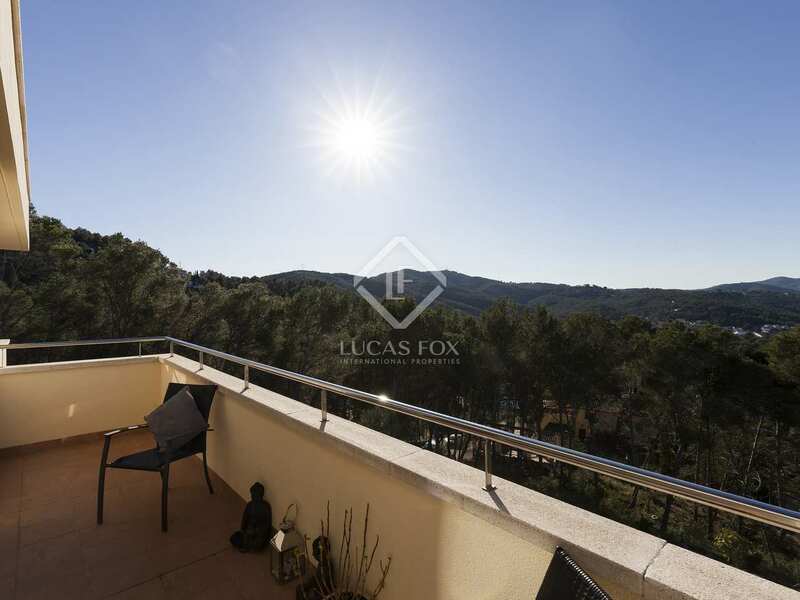 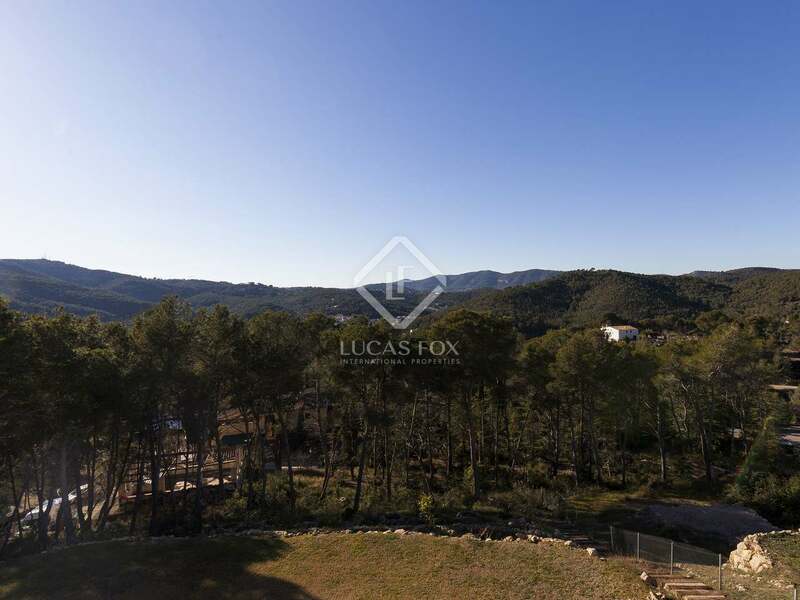 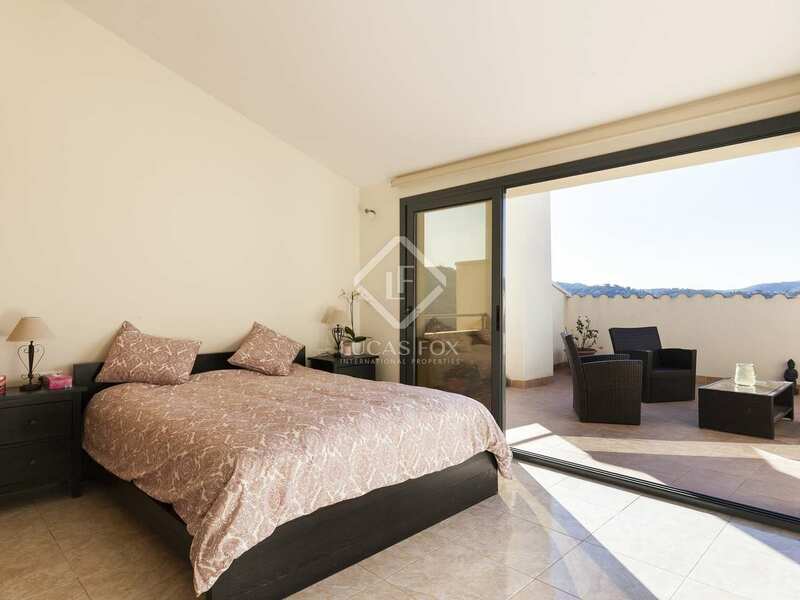 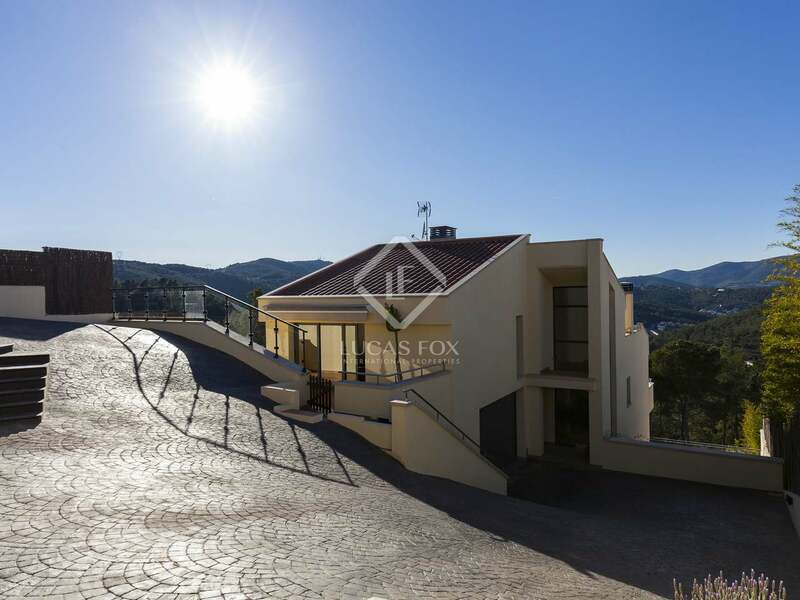 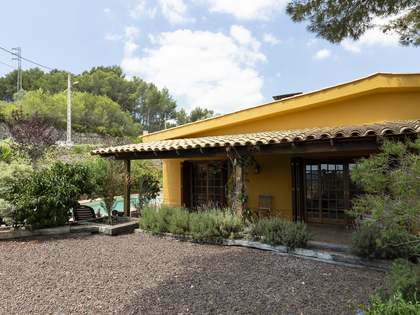 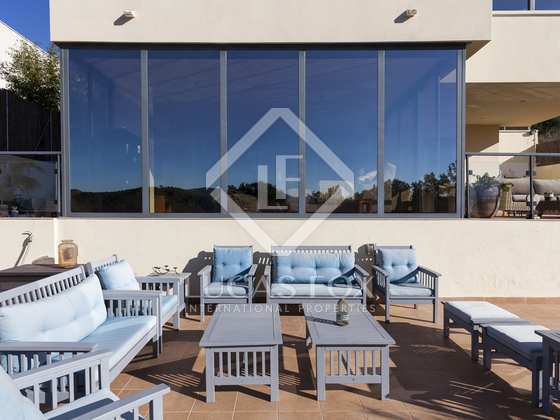 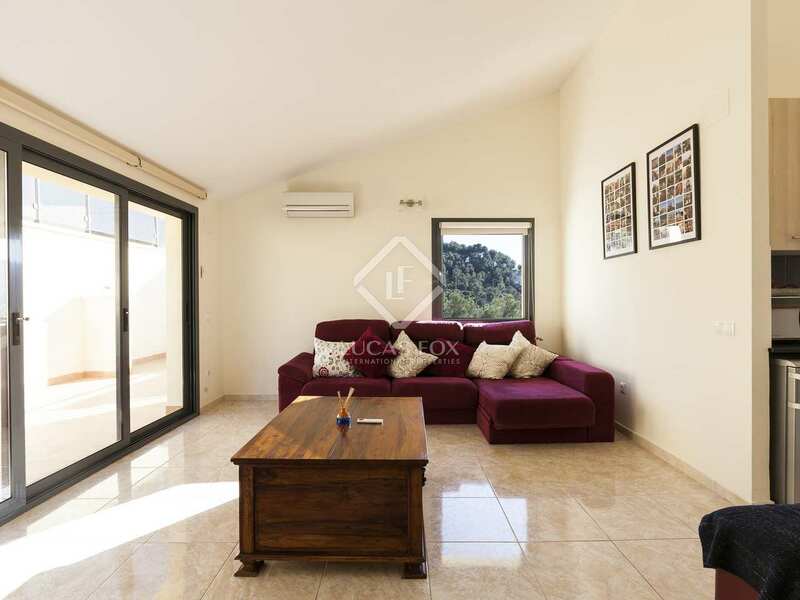 Do not hesitate to contact Lucas Fox to arrange a viewing of this enviable Sitges home.